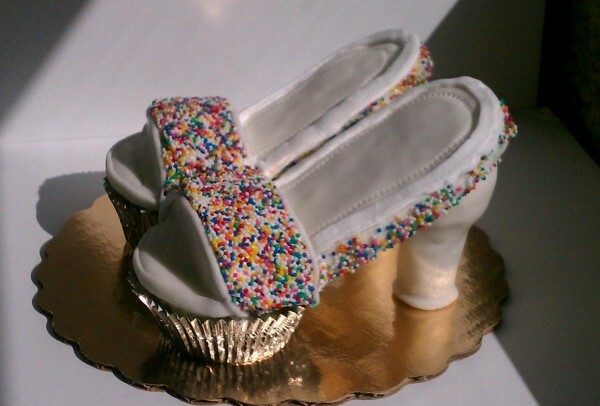 I was given a picture from pintrest of the most adorable cupcake shoes made with cookies. I was asked to make them for 13 little girls.I wasnt feeling very confident about making them exactly like the picture because they looked so delicate and they would be traveling in the car for an hour. 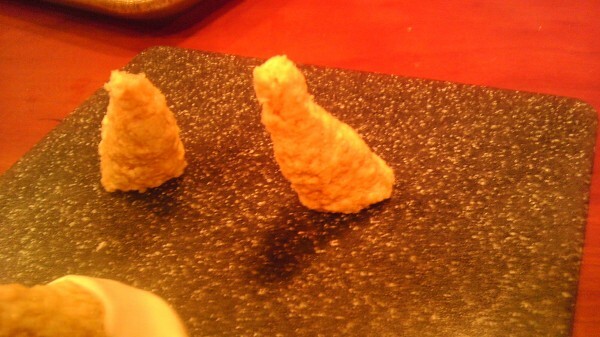 Im going to show you how I made them strong enough to with stand the trip. The best part is they where very simple to make and the ideas for decorating them is endless. Oh and yes this is my very first tutorial so fell free to let me know if I missed something or ask questions! 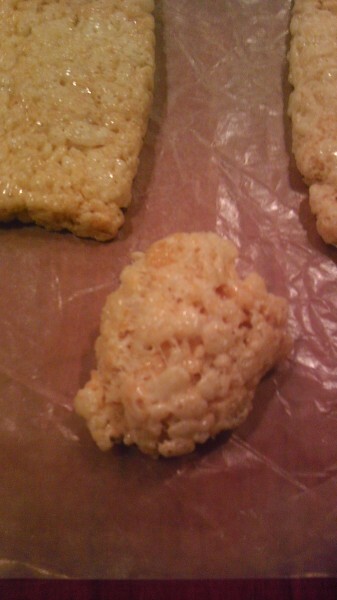 First you want to make your rice crispy mix. Take a small amount out at a time while it is still warm to form the sole of the shoe. About this size is what i used. 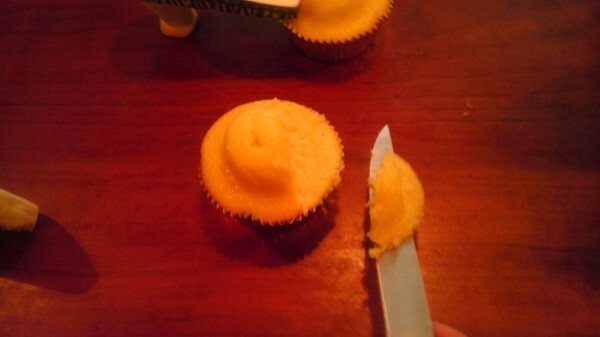 Then using my fondant smoother I flattened them to the width of my cupcake. Shaping it until it was the shape I was going for. You could also cut it with a knife to get the shape your looking for. Next you want to cut a space to attach the sole of your shoe. This is also how you figure out how high to make your heel to set under the sole of the shoe. Now for the heels, unfortunately I forgot to take a picture of how I made the heel to fit the under side of sole but I will explain. 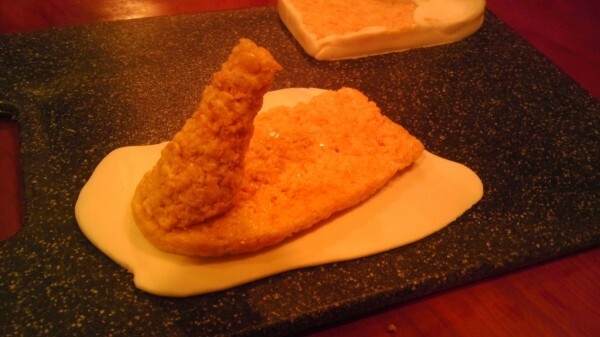 I placed the rice crispy sole into the cut of the cupcake and decided what angle I needed to have for my heel. I shaped it the style I was going for and placed it under the sole making sure it was the right height. Then I cut the wide end on an angle to sit flush with the under side of sole. Now to attach the heel to the sole. You place the heel on the back of your sole which should be the rounded edge. 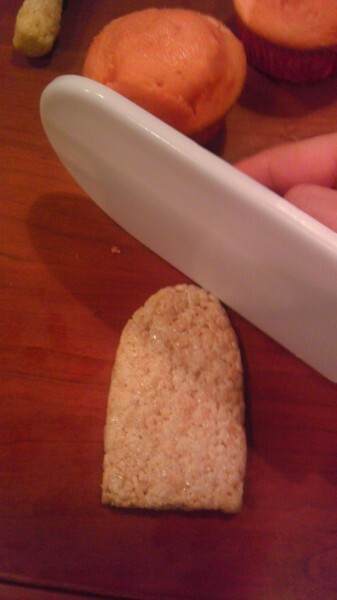 The rice crispies are so sticky that it just attachs itself. Take a piece of fondant and roll it flat. Place your sole and heel on top of fondant and shape it around both the heel and sole. This will cover and fuse them together as one piece. 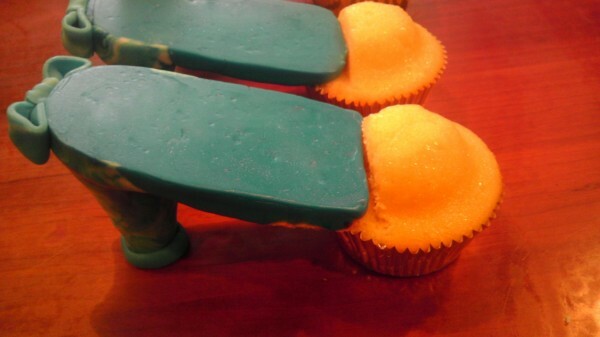 After covering with fondant you can place them in the cupcake cut you made. If you want them to be an open toed shoe you would now cup a space out of the front in the shape you desire. Once again forgot to take a picture of attaching these to together but it is very simiple. 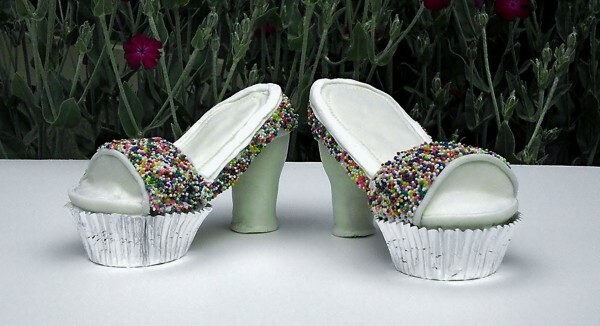 You put a bit of royal icing under the end of the heel that meets the cupcake then more on the sides and around the top. then cover the cupcake with buttercream and usng a circle cutter cut a piece of fondant the size to cover the cupcake alittle past the paper lining. 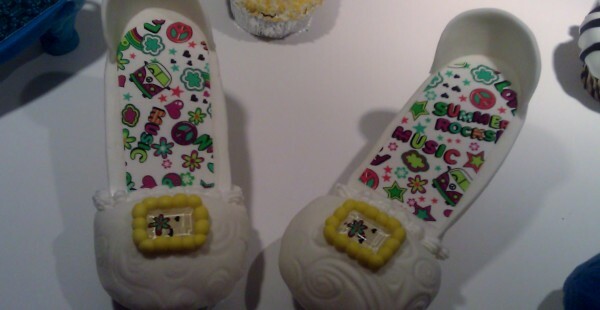 On these shoes I incorperated The royal icing as part of the design to give it more sturdy. 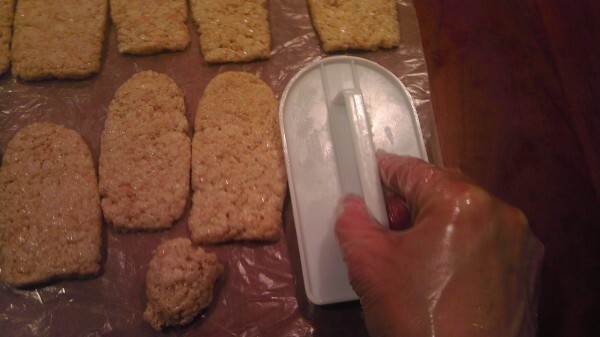 The royal icing acted as a glue to hold it all together. On this pair I used the iidesign program from Icing Images they have a ton of fun patterns that are perfect for these shoes. I printed the pattern used one side of a circle cutter to cut the round edge of the inside of sole and used my knife to cut the rest of the shape. 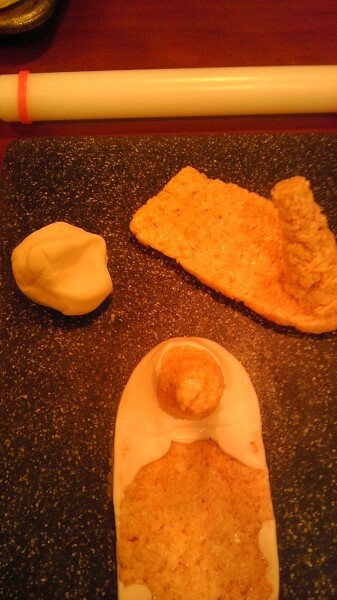 peeled my edible image off and glued it to sole with alittle water. 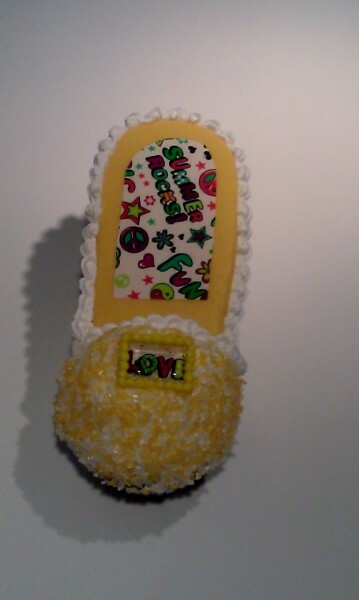 You can also wrap the heel with edible images. These where made with hard candy recipe and edible images placed on the back of the candy. The kids loved them. 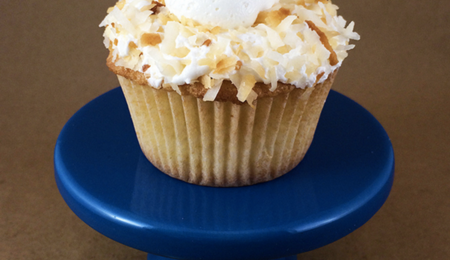 The ideas for decorating these cupcakes is endless. And they are so much fun to make. The 13 little girls I made them for received them in school. I was told that not one of them wanted to eat thiers and all took them home. They said they where to pretty to eat….wonder how long that lasted. Lol. Thanks for hanging in there with me in my first tutorial! Appreciate those of you who where interested in these shoes! thanks for sharing!! what do you price them at?? GREAT job on your first tutorial and much appreciated. Thank you for sharing. I love it. Will have to try it for some of the little girls I know. This is creativity,. i love them. Thanks for sharing. 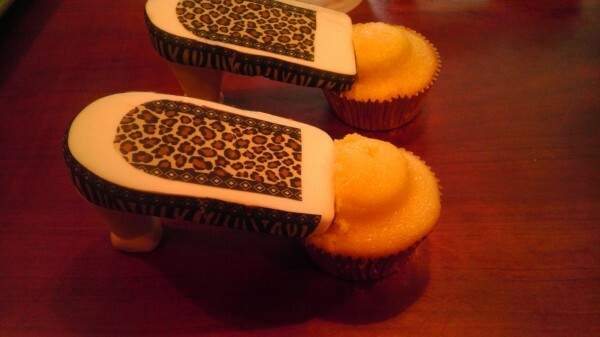 I love these fun cupcakes....great use of iiDesigns as an acent! 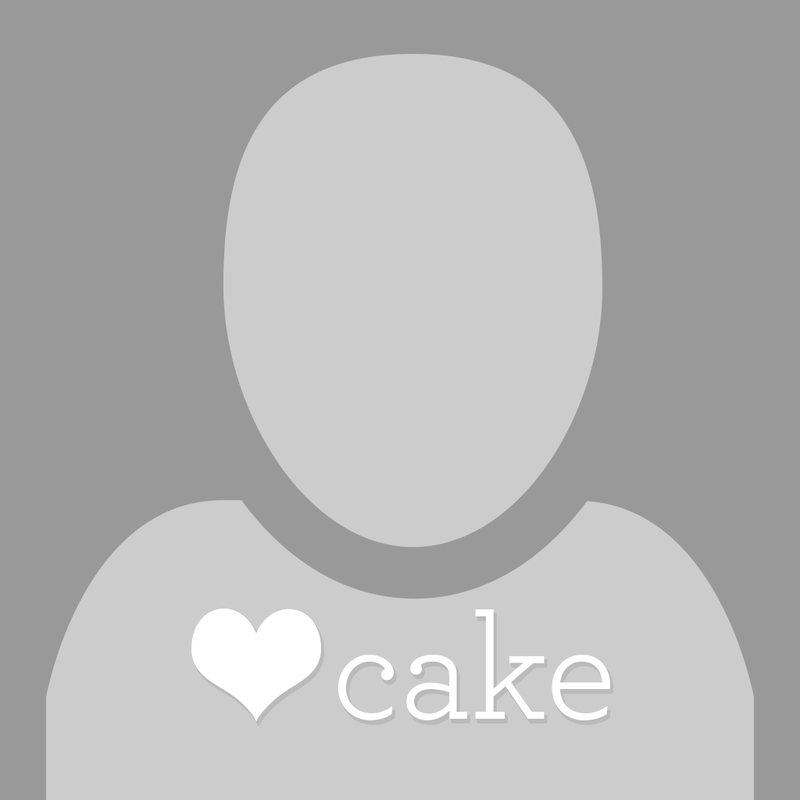 congrats on your first tutorial Bellacakes2012, and thanks for sharing. I too would like to know how much to charge for one of these cupcake. 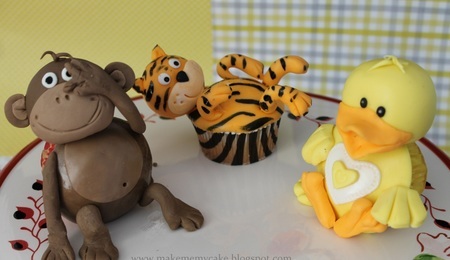 Just love these cupcakes ideas. Thank you so much everyone! 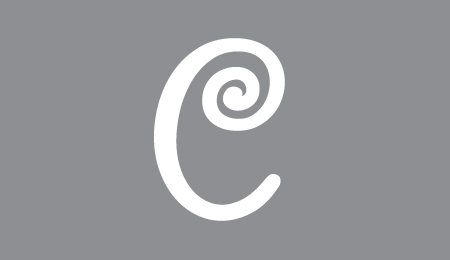 :-) Flavapot I sent you a pm with pricing! These are absolutely adorable! I know several little girls (and a couple big ones!) who will love these, thank you for all the help! Great job on the tutorial! Beautiful! I would also like to know how you priced these?? Love them! Thanks for the tutorial. Great idea, you did an awesome job. Unique idea for a shoe lover. I would like pricing sent too please. I haven't gotten around to making these yet but I like your version better than the original. The heel is much nicer. Thanks! Thank you All for your Lovely comments! I have tried to PM everyone that asked about pricing info if you feel you where skipped you can PM me!